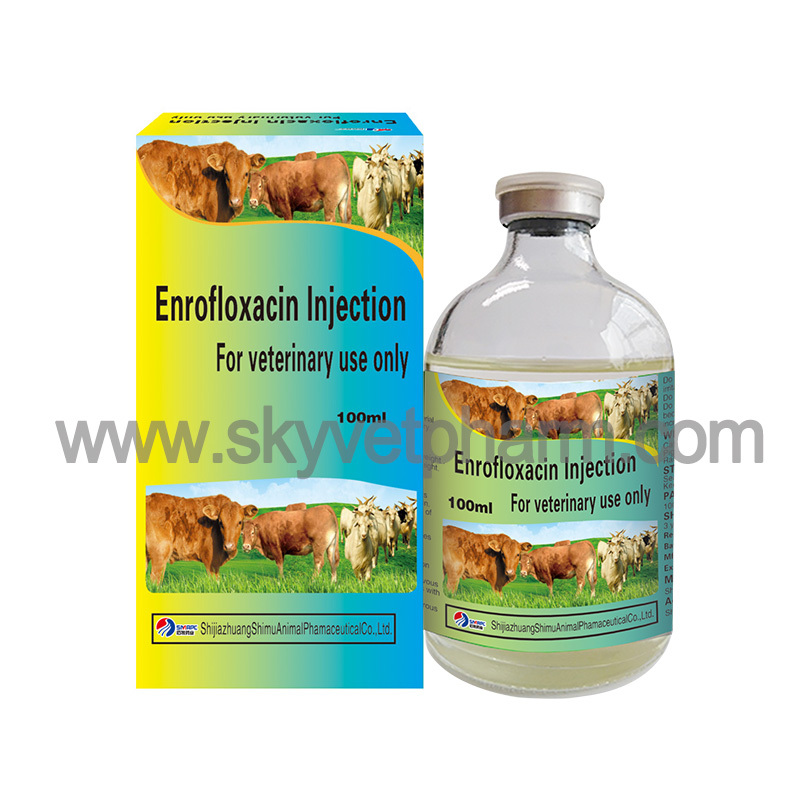 Each 1ml contains Enrofloxacin 50mg/100mg. 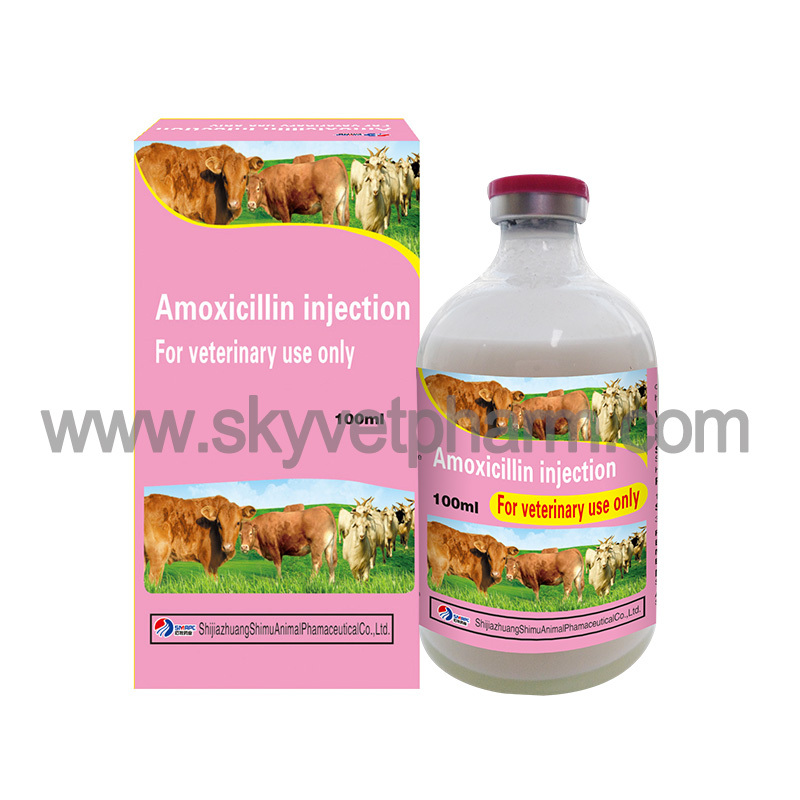 Fluoroquinolones antibiotics, for the treatment of bacterial and mycoplasma infections in livestock and poultry. Cattle ,sheep, goats and pigs: 0.05ml/kg body weight (5%), 0.025ml/kg body weight (10%). 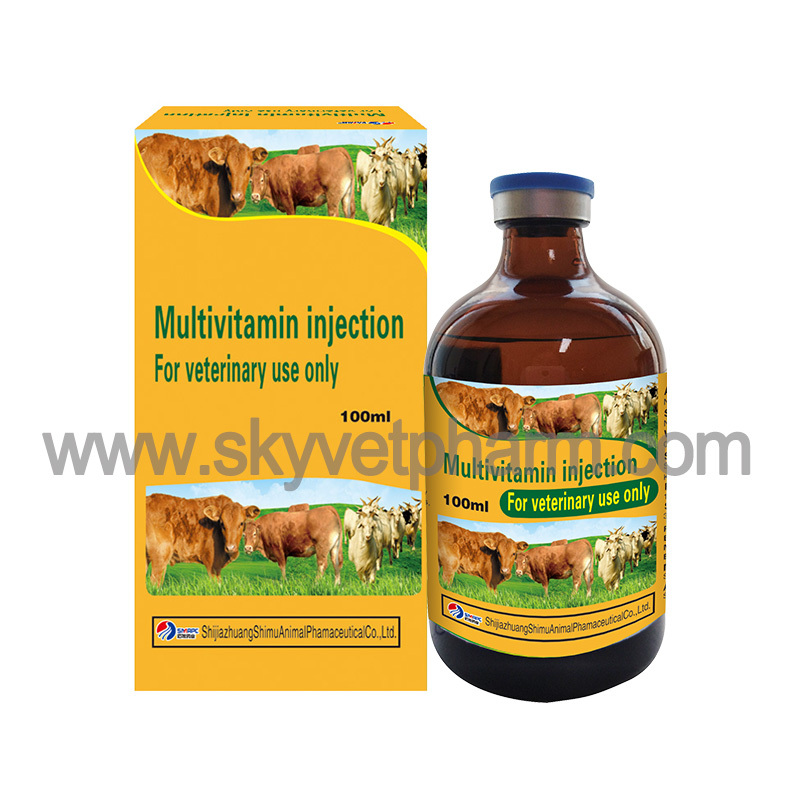 Dogs, cats and rabbits: 0.05-0.1ml/kg body weight (5%) 0.025-0.05ml/kg body weight (10%). Once or twice a day for 2-3days. Degeneration of cartilage in young animals affects bone development and causes lameness and pain. Digestive system reactions include vomiting, loss of appetite, diarrhea, etc. Skin reactions include erythema, itching, urticaria, and photosensitivity reactions. Occasional allergies, ataxia and seizures in dogs and cats. Caution for dogs with potential stimulatory effect on the central nervous system, induced seizures. Has potential stimulatory effect on the central nervous system, induced seizures, use cautiously for dogs with epilepsy. 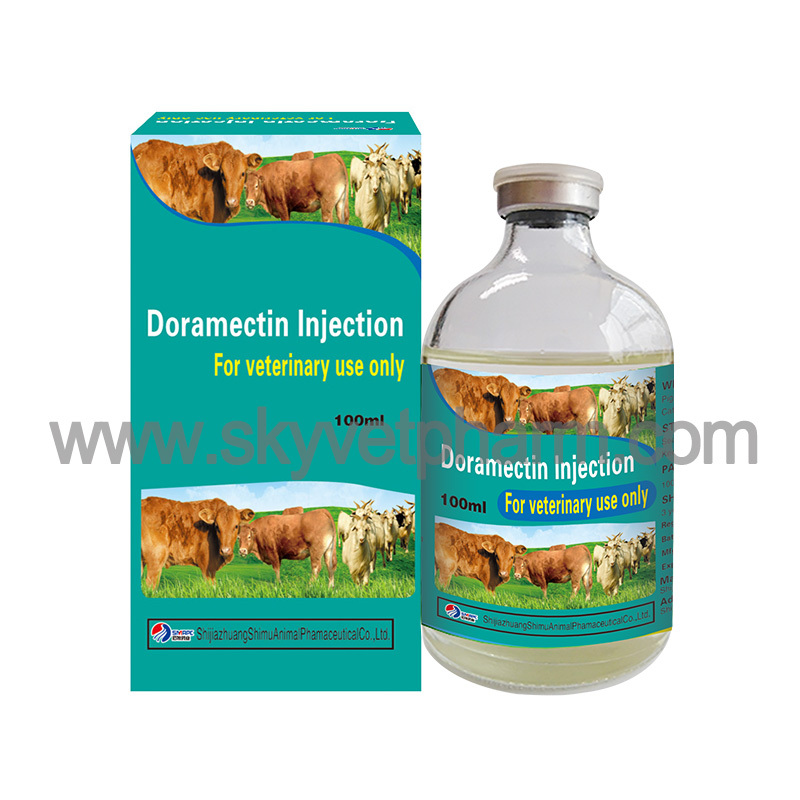 Occasional crystalluria, use cautiously for carnivorous animals and renal dysfunction animals. 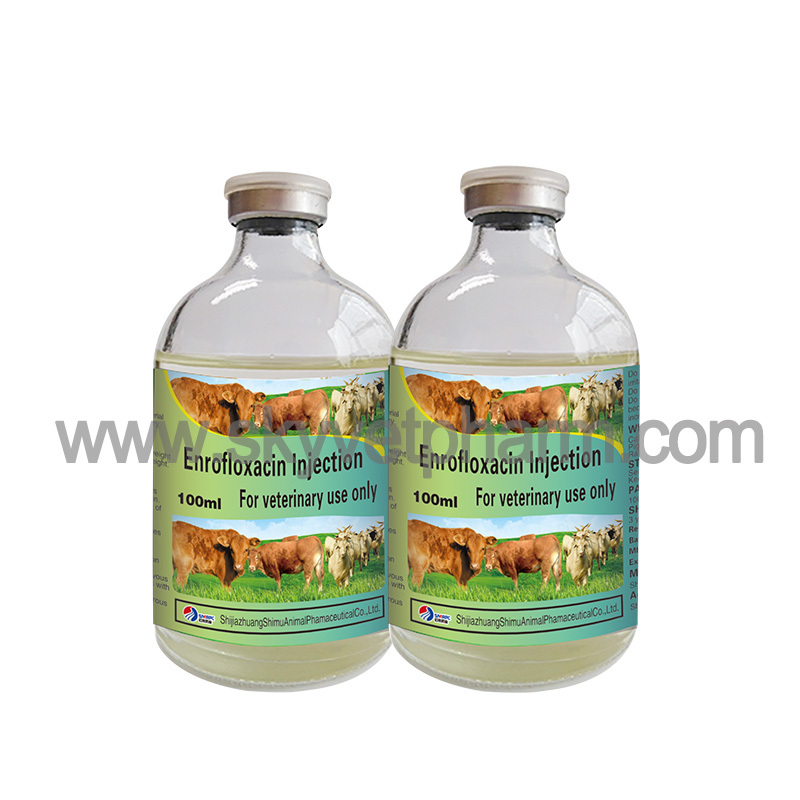 Do not use for horses, intramuscular injection has transient irritation. Do not use for dogs less than 8 weeks old. 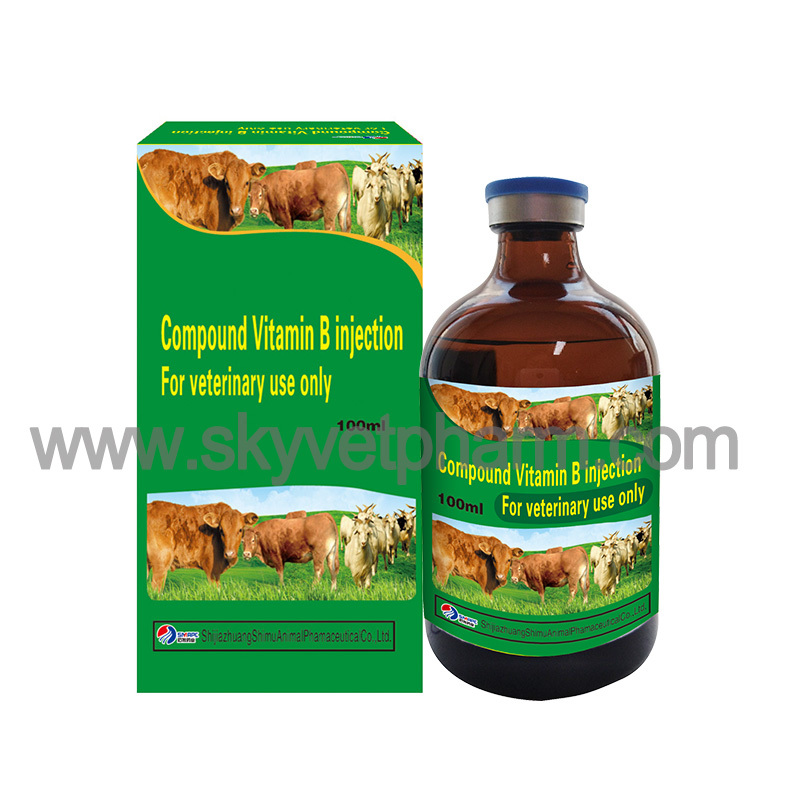 Do not use for a long period of time under sub-therapeutic because of the resistant strains of this product showed an increasing trend.